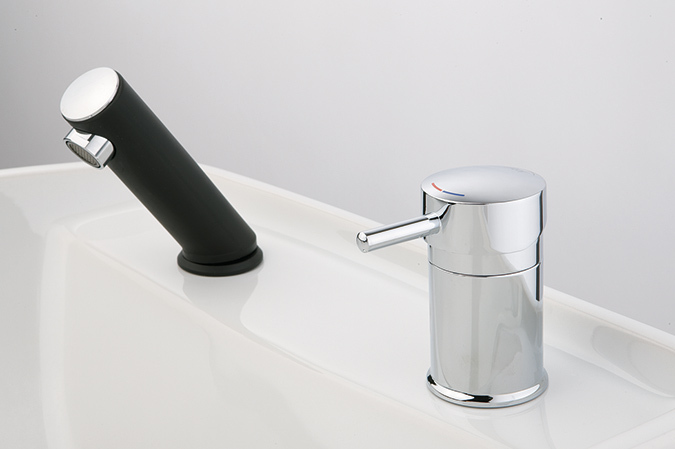 AquaPLUS thermo single lever mixer tap incl. thermostat cartridge with scald protection for the object area. Max. temperature approx. 45 °C. Hand spray with soft rubber grip and hose feedthrough in black. Hot and cold water pressure hoses 30 cm or 40 cm long. Spray hose in black, optionally 100 cm or 140 cm long. For public facilities such as kindergartens and old people's homes.